UPDATE #2: Looks like this is dead. UPDATE: They are only giving 10 points for taking the daily survey now. Lame, but still free points. Register to Best Buys Rewards Zone. 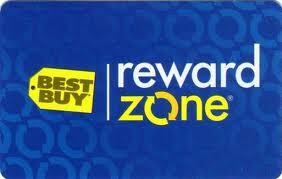 Visit Best Buys Rewards Zone's FACEBOOK PAGE. I don't like facebook apps making post on others news feed so I always select "ONLY ME" when it asks who can see posts. You will have to login everyday you visit the facebook page to get the FREE points. Complete the POLL. It's just one random question and you will be rewarded 25 FREE points. You can do this daily and it literally takes only 1 minutes to do this everyday. You can also earn 50 bonus points by 'designing rooms' under the "ultimate space" tab. There are currently no rooms available to design, but when they do become available I guess it only takes 1-2 minutes to do (I have not done this yet). Another way to earn points is to vote for a product under "member's choice tab". There is currently no product to vote on until Feb. 17th. So what can you get with the points? 250 points is good for $5 at Best Buy. You can even use this to get other gift cards like Amazon gift cards (sold at Best Buy). Basically the points are worth 2 cents. So taking the poll will get you 50 cents. If you take 1 minute to do this every day of the month, you will will have earned at least a FREE $15 at Best Buy without buying anything. Enjoy! p.s. You can change the certificate redemption to $15 or $20 by going to myrewardzone.com and changing the preference. I would recommend doing this other wise you will automatically be awarded a certificate every time you earn $5. It's easier to wait until you get a larger amount to go spend at Best Buy.